Jenn was born in Oak Lawn, IL and graduated from Crete-Monee High School. She has lived in the Kankakee area since 2011 with her husband, Dave, and four children. Jenn has worked in eye care since 2006. 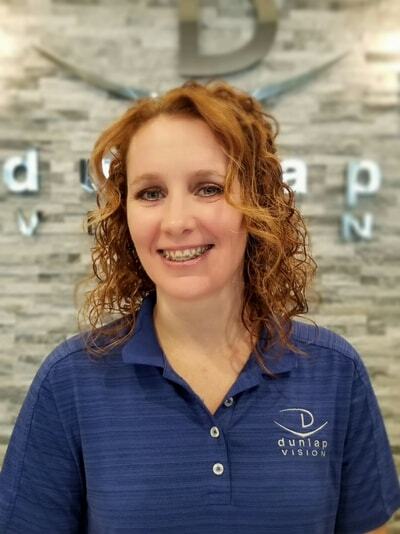 A team member of Dunlap Vision since 2012, Jenn’s specialty is customer service and insurance billing.